Quality in Helsinki Mills consists of our know-how and ability to anticipate and satisfy our customers’ expectations. Our extremely disciplined quality management emphasizes efficient teamwork and the construction of an operational environment that enables each employee to responsibly perform high-quality work and continuously develop our operations. Raw materials are the basis of our operations. We place an extremely high priority on the traceability and quality assessments of raw materials as they relate to product safety. We favor contract production, particularly regarding our organic ingredients, and assist our suppliers in the resolution of quality issues. The quality of Helsinki Mills products is closely monitored- from the field to the table- which is why they are safe to use. All of our production units have laboratories where well-defined analyzes are carried out during different stages of the production process. The production of gluten-free products is an own process and requires special precision and analysis. 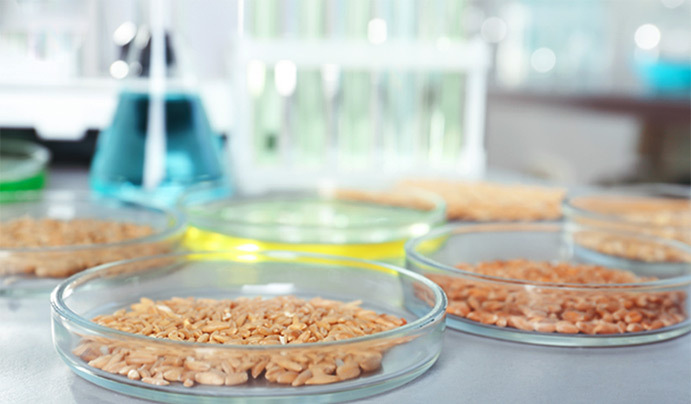 Due to which there is a dedicated laboratory for a quality control of gluten-free products.